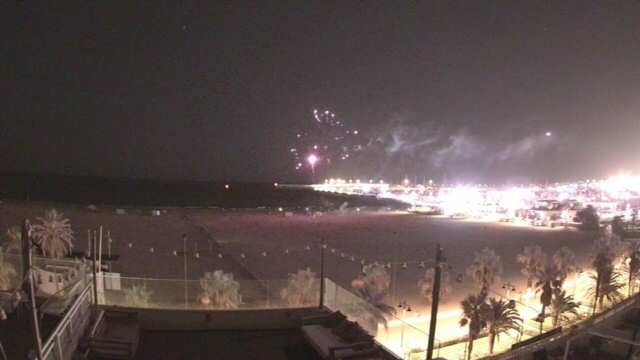 This live webcam in Valencia shows a view of the Playa de Las Arenas from Hostal Miramar. This beach is famous for its old seaside resort and the many restaurants which could delight the palates of the most demanding of gourmets with its wide range of rice dishes. A stroll along the seafront enjoying the sea breeze and the marvellous light that bewitched Sorolla is a genuine pleasure, and is considered to be one of the most traditional and symbolic corners of the city of Valencia. Our website brings you closer to the seaside with this real time webcam in Valencia. 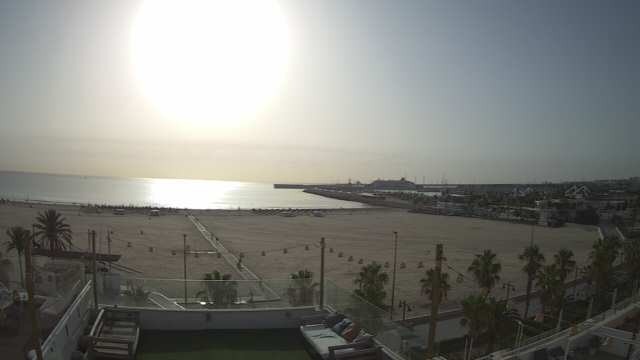 Watch the bright sunrays shine on the calm waters of the Mediterranean Sea from the comfort of your own house <strong>any time of the day with our webcam in Valencia. You can also enjoy the views of some of the other real time webcams in Valencia following the links below.